The staff was very friendly and helpful, and the room was clean and comfortable. 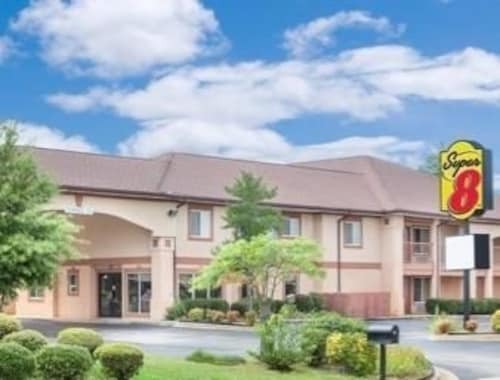 We were traveling to Florida and this hotel was at a convenient place off I-65. The staff was very friendly and they had a nery nice breakfast. I noticed the price had dropped to $61 the day I checked in, but I had to go with the $88 rate which I had reserved. Rooms are decent, shower could have used some cleaning and hot water was spotty. Staff very friendly, is a safe location and rooms are nice considering the price. So you're thinking about a trip to Eva? If you want a place to call home that's located close to Eva attractions, use Orbitz to pick your travel dates, and then presto! Look through the list of hotels and other accommodations to find those that are close to what you want to see while you're in the area. There are 24 accommodations to pick from within the larger area if you can't find a good place to stay in Eva. Search by filters such as price, neighborhood, guest rating, or popular locations, depending on what's most important to you. We make it easy to find a convenient flight into Huntsville, AL (HSV-Huntsville Intl. ), which is 20.5 mi (33.1 km) from the heart of the city. Find the perfect flight in nothing flat by using the filters on our site to narrow down your search. There may be a limited number of hotels and accommodations to choose from in Eva, but here some other options located nearby to give you some choices. What's the Weather Like in Eva? This was a terrible property and not at all what we were expecting. We did not even end up staying we imediatly checked out. The first room we were giving was disgusting everything was dirty and unmade and there were empty bottles of alcohol everywhere. The second room we were given was hardly better we decided to cut our loses because no refund was available and leave.